A unique vintage art deco style personalised wedding or anniversary gift. 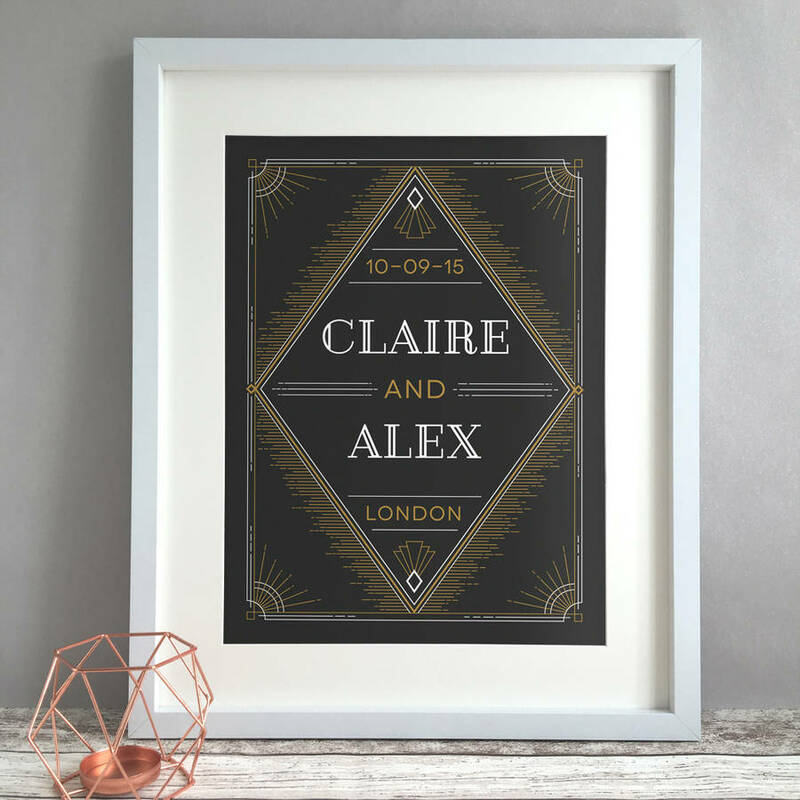 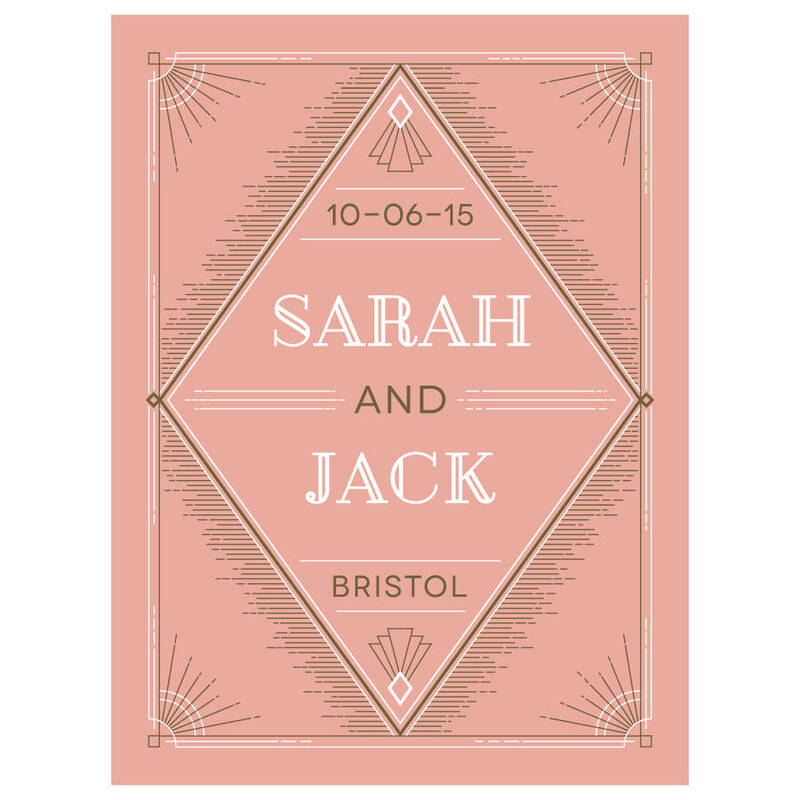 This lovely unframed 'Art Deco’ personalised print features the couples names, wedding date and location or surname. 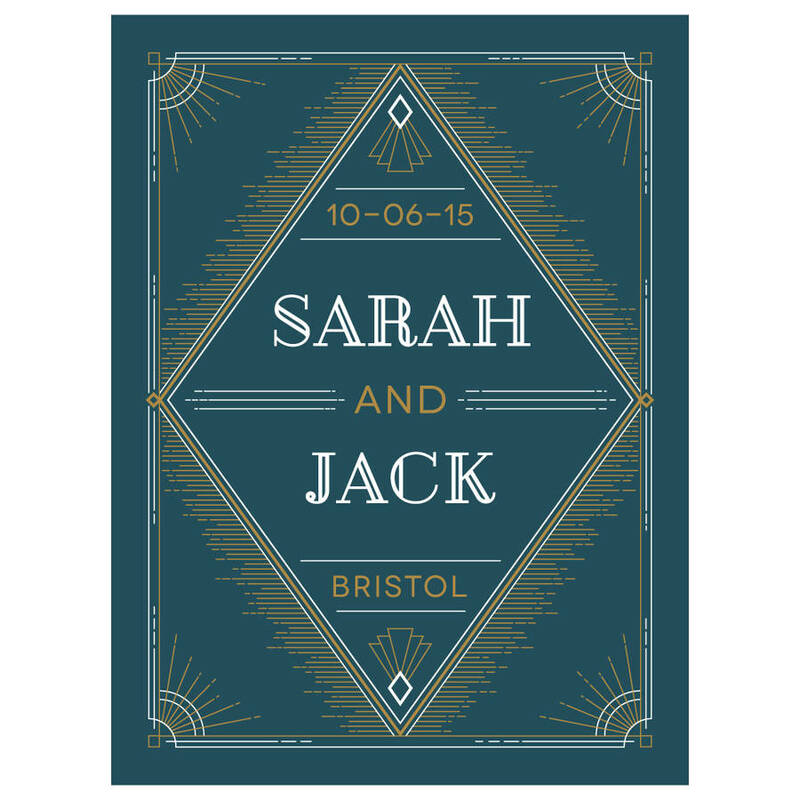 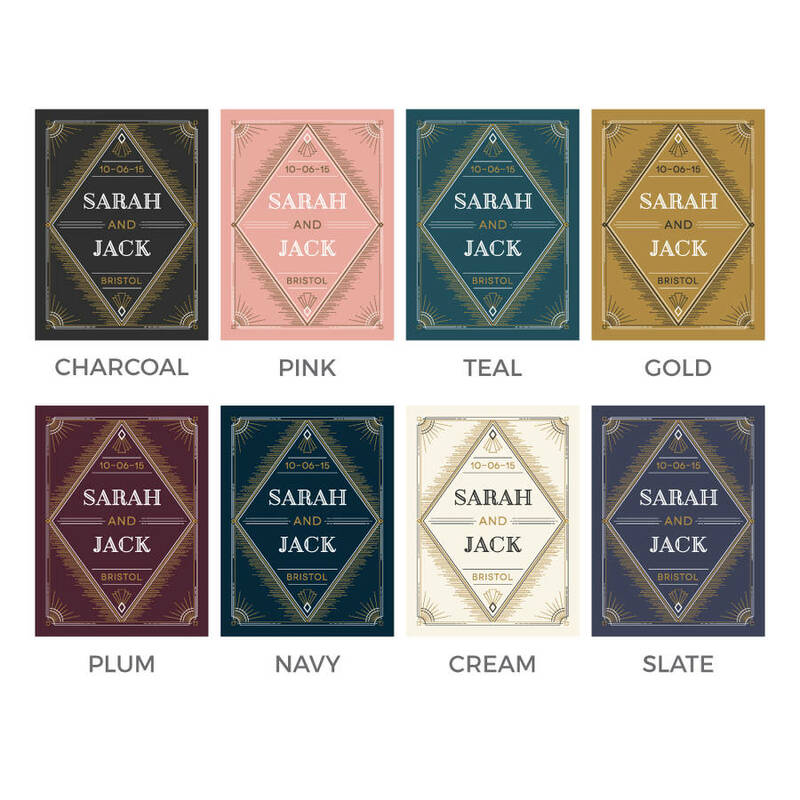 It makes the perfect unique and thoughtful wedding or anniversary present and acts as a treasured reminder of the big day for years to come.